In other words, it’s not a color, a branding term, or an attractive moniker — it’s a mindset. To be green, companies must commit wholeheartedly to not only incorporating natural resources stewardship into their own practices and output, but also to working with like-minded vendors. Quite simply, an organization can be eco-conscientious to the nth degree, yet it’s missing a puzzle piece if its partners aren't also green. Consider the Swedish firm SCA (Svenska Cellulosa Aktiebolaget) and its full line of green paper products and disposable goods. 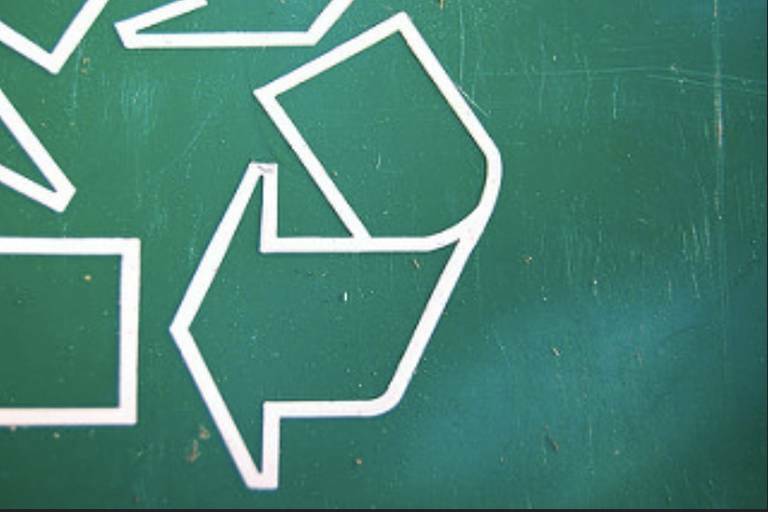 Surely Georgia-Pacific has similar green lines, but SCA isn’t just pushing out recycled napkins; it’s embodying the concept of thoughtful renewability by choosing a biological wastewater treatment facility, powering its plants with mostly biofuel, and taking necessary steps to attain a variety of eco-essential certifications. Kohler offers a similar level of corporate commitment to walking the talk. Not only does it create amazing items for kitchens, bathrooms, and other spaces, but it also promises to “work in harmony with nature” as part of its Believing in Better mission. It’s a prominent unique selling proposition for the Wisconsin-based company. Finally, the University of Virginia is jumping into the green fray by choosing eco-elements for one of its newest renovation projects. By installing LED lights and following careful rules, the university snagged a coveted Silver LEED (Leadership in Energy and Environment Design) Certification. Could anyone deny that the college is obviously interested in evolving with society’s demands for greener solutions? 1. Separate the real from the rest. Check out possible partners’ and vendors’ certifications as well as eco-related credentials. For instance, in the cleaning world, Green Seal is a third-party provider that certifies products as green. It aims to be transparent and honest in order to help businesses and individuals choose wisely. Another credentialing body for the facility world is LEED. Having LEED Certification doesn’t just showcase your pledge to consumers; it also enables you to increase rental costs if you lease out spaces and may also earn tax credits. 2. Make changes around the office. Most workspaces have areas that could be greener. As the U.S. Department of Energy notes, you could cut utility bills significantly by just sealing places with cracks. Encourage employees and departments to suggest ideas that could help their environment become sustainable and healthier. Often, personnel are applying green practices in their homes, anyway. Find out what they’re doing right so you can follow those best practices. You don’t have to make every change possible — sometimes that’s not feasible. However, remain open-minded, because each step in the right direction makes a big difference in the long haul. 3. Understand that green products don’t equate to green companies. Sure, a company sells a “green” product, but is it all lip service? A great example of this is a chemical supplier that sells a greener version of its top cleaning product. Though it's a step in the right direction, it doesn’t mean it's converted its buildings to use less water or switched to LED lights. The supplier could be wasting water and electricity to make what it deems “green” deliverables. Plus, it's still producing toxic cleaning products alongside its environmentally-friendlier varieties. Basically, it's not really eco-conscious despite having a facet of its product line focused on the green-minded consumer. Like your company, milliCare prefers to partner with suppliers that don’t practice the art of green-washing, but instead focus on consistently doing the right thing for people and the planet. That’s what we did when we started, way before it was in vogue. Now, everyone’s logo seems to be green, but companies’ hearts aren’t necessarily behind the movement. If you’re truly trying to change the way business occurs in your field, you owe it to your brand, people, and customers to be selective about the partners you select. Vet your relationships to ensure they align with your core values. That way, you’ll feel great about hitching your wagon to your vendors'. Stephen Lewis is the technical director at milliCare, where he manages all equipment, methods, and products for the floor and textile cleaning company. Stephen, a certified senior carpet inspector and an IICRC master textile cleaner, has proudly served milliCare for almost 30 years.